Comes with a 5 year coating guarantee! The UAP Plug Blank have been made with ease of fitting and high quality in mind. 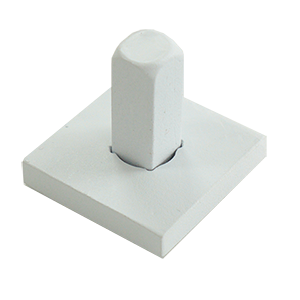 The UAP Plug Blank are ideal for when a euro cylinder is not required. 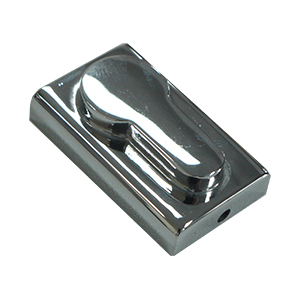 Designed to simply cover the euro cylinder slot, the Plug Blank creates a neat and tidy finish to the handle, while offering added security to the door. 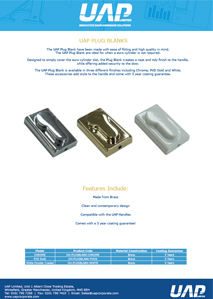 The UAP Plug Blank is available in three different finishes including Chrome, PVD Gold and White. 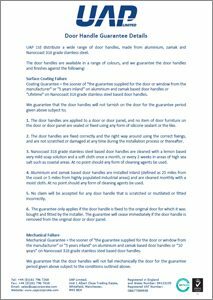 These accessories add style to the handle and come with 5 year coating guarantee. The Fixing Plate is used to permanently fix the handle in place. The dummy spindle gives a solid fix to the handle to ensure the handle is non moving. Fixed to the backplate of the handle, this simple yet effective plate prevents the turn of the lever, adding extra strength and security to the door. Used to test the colourfast of plastic and anodised products, the UV machine measures the stamina of the window handle finish, testing how quickly it will fade in sunlight. It does this using UV lights which the products are left under for 2000 hours. 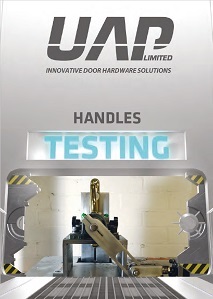 This machine tests the corrosion resistance of the window handles and many other products. The salt spray cabinet produces a corrosive environment, by releasing a dense saline fog into the chamber which the products are exposed to. This creates accelerated corrosion to the product and allows us to test how well the product would stand up in harsher environments.